Fresh from knocking off Microsoft's Internet Explorer as the web's most-used browser for a single day in March, Google's Chrome browser has now claimed more users than Redmond's HTML-cruncher for a whole weekend. Data gathered by StatCounter shows Chrome has enjoyed a day of dominance on most weekends since its March ascendancy. 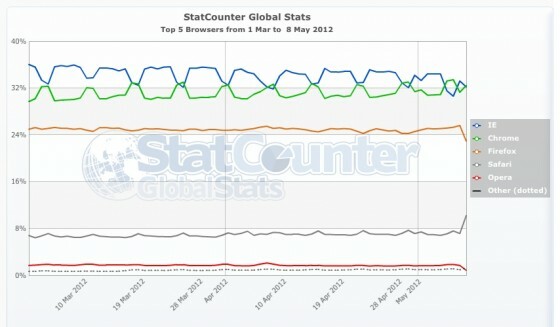 On May 5th and 6th, however, it opened a gap over IE. Sunday the 6th even saw Chrome take a lead of nearly three percent.